We realize that this is an inconvenience and are regularly working to educate manufacturers on how their policies impact our customers. We welcome your comments and suggestions in our forum on this topic. Price: To see our price, add this item to your cart. You can always remove it later. Why? Total price: To see our price, add these items to your cart. Why don't we show the price? 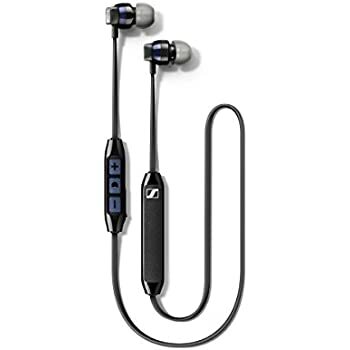 The HD1 Free is true to Sennheiser design and engineering philosophy, offering contemporary styling, ease of use and exceptional sound quality. 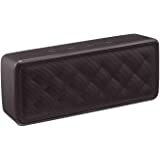 It features Bluetooth 4.2, Qualcomm aptX and ACC codec processing delivering immaculate hi-fi sound. 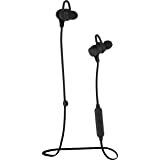 An ergonomic design and four ear adapter sizes ensure a comfortable fit. 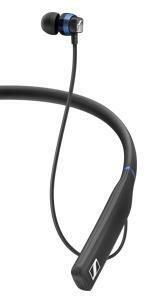 A three-button remote with microphone remote make the HD1 Free a fully equipped headset. The six-hour battery life supports extended wireless listening sessions. 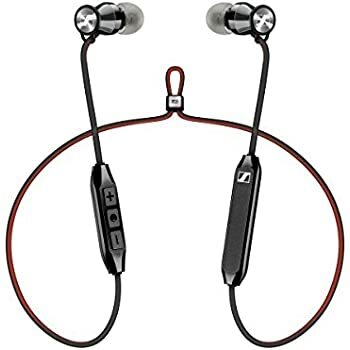 The Sennheiser HD1 Free features premium transducers housed in machined stainless steel in-ear sound tunnels deliver signature HD1 sound - powerful bass response, detailed vocal projection and a great sound stage. The HD1 Free is equipped with the latest wireless transmission technology: Bluetooth 4.2, AAC codec support, and Qualcomm aptX support. 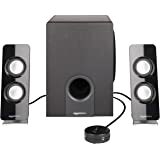 Together they ensure exceptional, crystal-clear hi-fi sound. AptX Low Latency technology keeps audio perfectly in sync with visual when watching videos. NFC one-touch pairing is also available for supported smart devices. 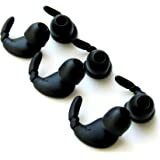 Four different sized ear adapters are supplied with HD1 Free. 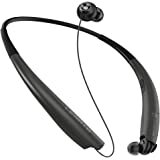 This ensures optimum fit contributing significantly to enhance wearing comfort and sound quality. 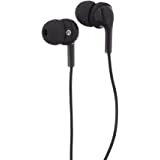 It also improves passive attenuation of ambient noise further upgrading the listening experience. A three-button remote and high-quality in-line microphone provides management of phone calls (including three-way calling) and music tracks. Voice prompts inform about incoming calls, device pairing and battery status. Multi-connection with up to two devices at once is also provided. The HD1 Free delivers up to six-hour battery life from USB charging (cable included) supporting extended wireless listening sessions. Great materials including stainless steel and featuring chrome accents highlight good design. 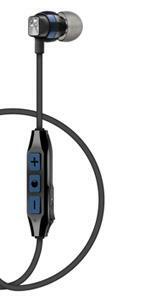 Magnetic earpieces elegantly join so HD Free can be comfortably worn around the neck when not in use. For protection, a luxurious leather case is supplied for storage. 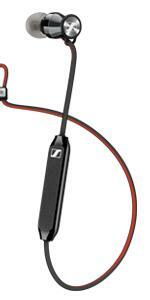 Sennheiser's HD1 Free liberates your listening experience. 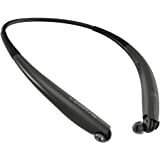 Cutting edge wireless connectivity combined with a luxurious, ergonomic design offers all day listening enjoyment. 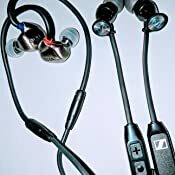 High quality dynamic transducers deliver signature Sennheiser sound featuring powerful bass response and detailed vocals in an impressive sound stage. 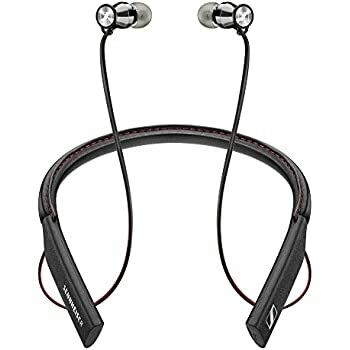 When not being used, magnetic elements in the earpieces allow them to link together to be worn stylishly around the neck. 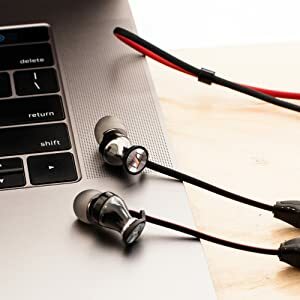 Bluetooth 4.2, AAC codec and Qualcomm apt-X Low Latency support ensure crystal clear wireless transmission, so you can experience the critically acclaimed HD1 sound cable free in an ultra compact ear canal headphone. Exceptional low latency audio performance ensures brilliant synchronization of audio and video enhancing TV, movie and gaming performance. Use with mobile devices is effortless, thanks to an integrated three-button remote and microphone for controlling phone calls and music. Multi-connection is supported with up to 2 devices at once. Further convenience is ensured by intuitive voice prompts. The six-hour battery can be charged via the supplied USB cable. A luxurious leather is supplied for storage with not in use. Like all HD1 headphones, HD1 Free is crafted from premium materials delivering superior comfort, timeless style and lasting durability. 1 Lithium Polymer batteries required. 3.0 out of 5 starsSo close! I wanted to like these I really did but the battery life just doesn't hold up. You never get 6 hours. You barely get 4. I got comply tips bit they still fall out probably due to how they hang out of your ear and how heavy the controller is and the battery. The down angle of the ear piece is an issue I think. And the control scheme of holding up or down for a second to change the track just doesn't work for me. I want to be able to double tap a button. On the plus side, sound is terrific. 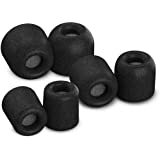 You can't go wrong for sound with these. Nice highs and lows for my tastes. If you guys make these changes I'll buy again and buy for family. 5.0 out of 5 starsDoesn't Sacrifice sound. Doesn't sacrifice quality. I usually have my headphones in all day. Podcasts, Audiobooks and of course music. So me not having a pair isn't really an option. 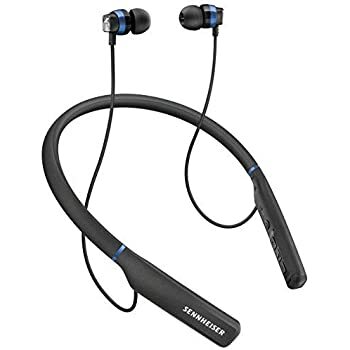 So when my Latest pair of Jaybirds started having battery issues, I started looking for a new pair. 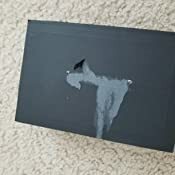 I've owned Two different pairs of Jaybirds and both became problematic after about a year. So had to rule those out. Which is unfortunate because they sound better than anything else I tried. And again was why I bought a second pair after the first gave me issues. 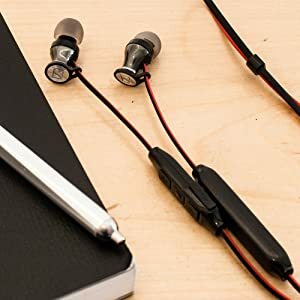 I wasn't willing to sacrifice sound quality that other in ear headphones offered. I have also owned all the headphones pictured above. The Focal listen Wireless and Klipsch are over ear. 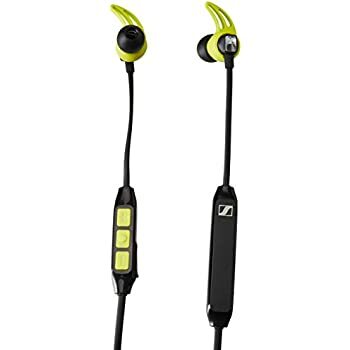 Both great headphones but not great going to the gym. So after looking for alternatives I figured I'd give the Sennheisers a shot. I didn't expect them to sound as good as the Jaybirds but if they held up, I'd have to be ok durability vs sound. 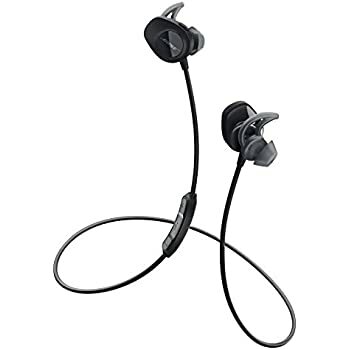 These Wireless headphones are Outstanding. 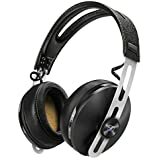 They sound better than my Jaybirds, more bass no shrillness when I listen. Very pleasant across the board, pretty much any genre. They really sound about as good as my Focals which I love, and those are over ear. Build quality seems to be high and they look great. Give them a few hours of burn in. Use the right tips for your ears and your all set. This company gained a new customer. Gonna get a set for my brother's B day. Can't recommend them highley enough. After using the item for a month, the red LED light would never turn off, thereby draining the battery. Sennheiser was nice enough to RMA the unit and send me a new. The new one has the exact same problem and the batter drains in less than 20 minutes. Sennheiser sent me the "HD1" unit this time which seems to work fine. 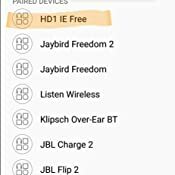 I would stay away from this "HD1 Free" unit as they must be having some serious quality problems or manufacturing problems. 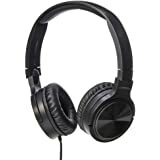 These are high quality headphones, but I only give it 4 stars because I'm not sure the quality justifies the price. I am no audiophile, but I appreciate quality. The sound is clear. Crisp without being too bright, the bass is potent without being overwhelming. The sound stage is decent, but not as good as the B&W, but I don't expect them to. They are comfortable, light, and reasonable for exercise. I don't sweat much, so I can't comment on that, but I haven't had any issues with this. Battery life is so-so. The controls are also so-so. Because there is no light, i's hard to tell if they're on or off without them in to hear the "power off" or "power on". This is a minor annoyance. 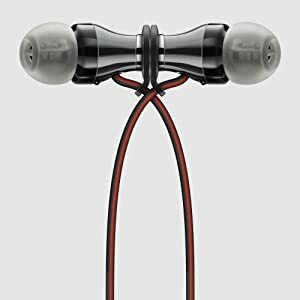 The main gripe is that it isn't demonstrably better than other in-ears that I've tried to justify the 200 price tag. It is the best I've tried, but by a narrow margin. I waited for some vendor to sell these for under the $100. Just a hunch that were overpriced. I am so glad that I did. Before I give out the negative information, I want to point out that these are as small possible without sacrificing durability. Sure, (*ALL*) wireless headsets have battery life issues, but the HD1 Free charges quickly, and anyway I have one of those $20 portable Lithium batteries for recharging. 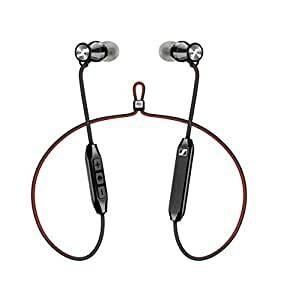 I moved to wireless in-ears because the cord of my old wired set keeps getting caught in my jacket zipper when I go out for a walk. After I tore the cord of my favorite AKG in-ears twice, I needed something more appropriate. 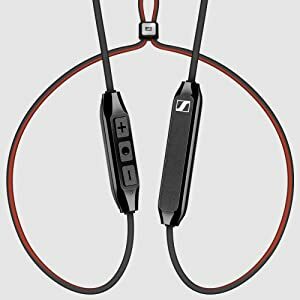 Sennheiser to the rescue. Not only is the HD1 Free built to take a little abuse, but it avoids a lot problems just by being a smaller target. Much more important to me than battery life is range. 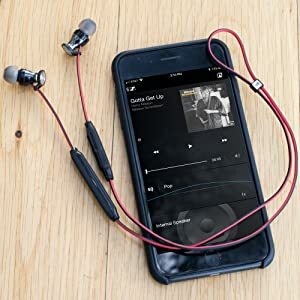 Many ear canal wireless IEMs or neck-resting wireless sets have issues with dropping the signal when the phone is in your pocket or your bag. Not these. I guess I should also mention that the smaller battery capacity comes with other advantages. The battery pack is *much* smaller than the competition's. 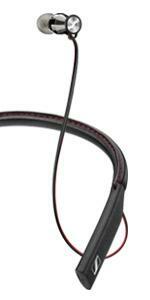 The HD1 Frees are so small and light, they are free of the neck-harness feeling that accompanies other sets. 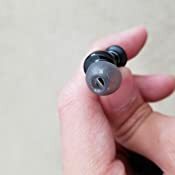 You'd think with the glowing reviews and the HD1 moniker, maybe these IEMs would have the new relaxed sound of the new HD1 over-ear headphones. 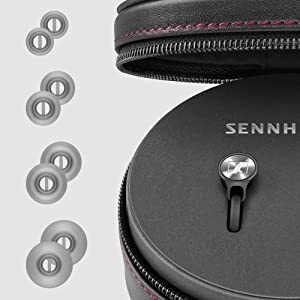 Nope--just the same Sennheiser V-notch in the mids. Perhaps even a little worse, because the high-end is overhyped. 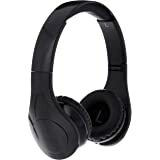 Not as bad as the Audio-Technica ATH-CKS990iS, which sound distorted, though the HD1s are still fatiguing to listen to. 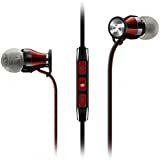 *However* the treble is uncluttered and clear, unlike most every other IEM in this price category. 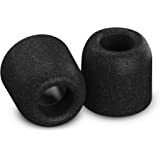 I have hearing loss in upper mids / high-end, and I can't image how someone with good hearing could stand these. These must cause hearing loss quickly in young ears. I suspect this was done on purpose to improve the intelligibility consonants during voice calls.